Sugar free desserts don't have to be complicated. 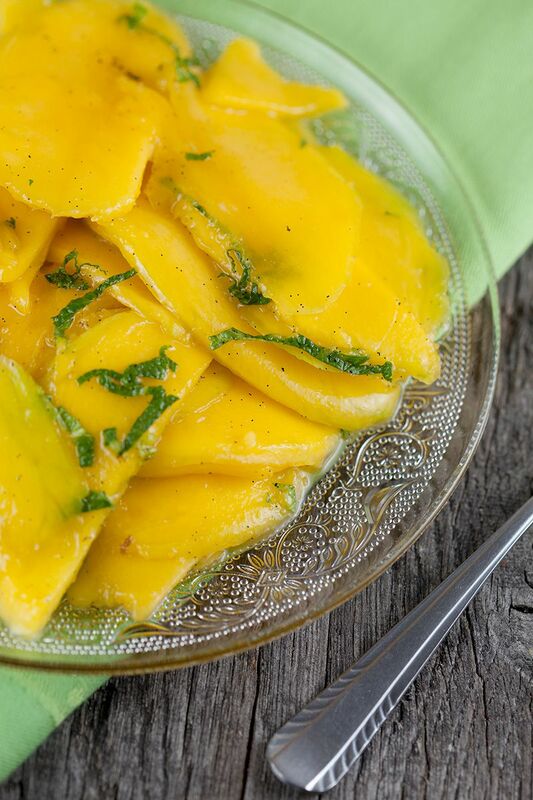 Sugar free mango slices are made with vanilla, honey and more! And mango doesn't need much more, right? SCRAPE the seeds from the vanilla pod and add the marrow and pod along with the cardamom pods, cinnamon stick, water and honey in the small saucepan. Bring to a boil and then turn down the heat, let it simmer for 10 minutes or until it has thickened and became a bit like syrup. PEEL the mango and cut into slices, as thin as you possibly can. Be careful with the pit, otherwise it will damage your knife. 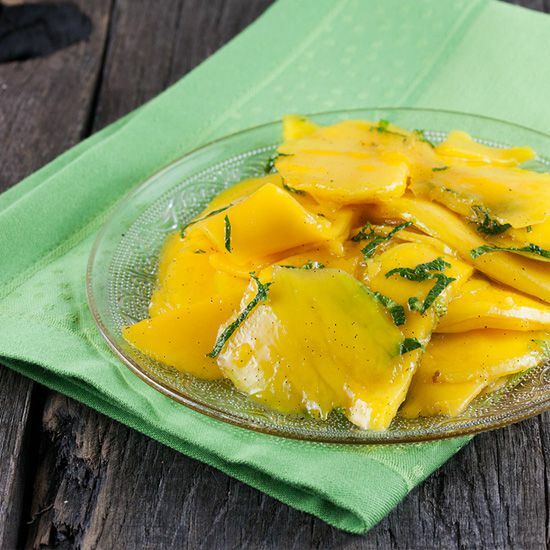 REMOVE the cardamom pods, cinnamon stick and vanilla pods from the syrup and pour the liquid over the mango slices. 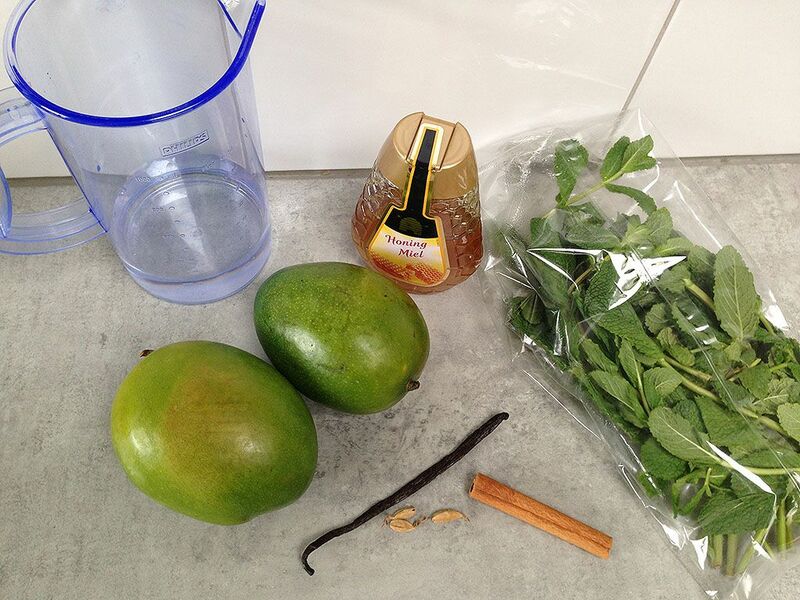 Finely CHOP the mint leaves and add them to the mango. Let it marinate a bit before serving. 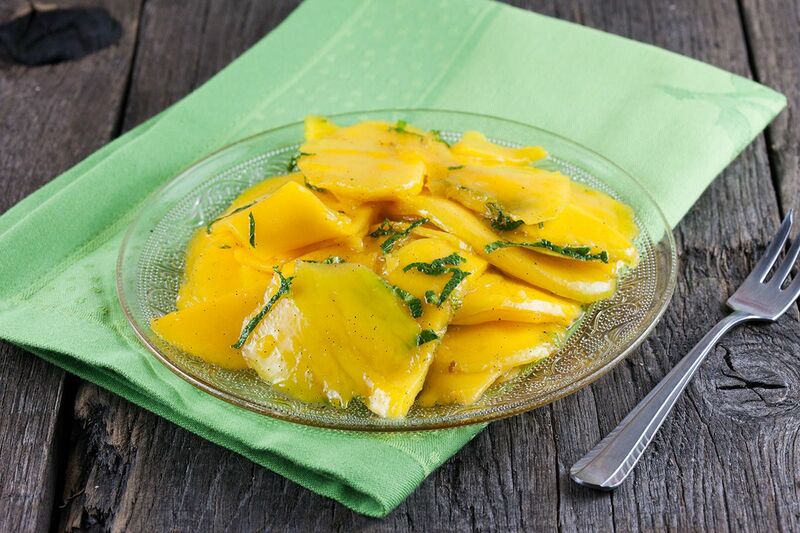 If you refrigerate the mango for a day, it slices will be a bit softer but the flavor will be more absorbed.